Boasting a dramatic hilltop location in Camarillo, the Spanish Hills Country Club combines captivating architectural features with lush, landscaped surrounds that make it a deservedly popular wedding venue. 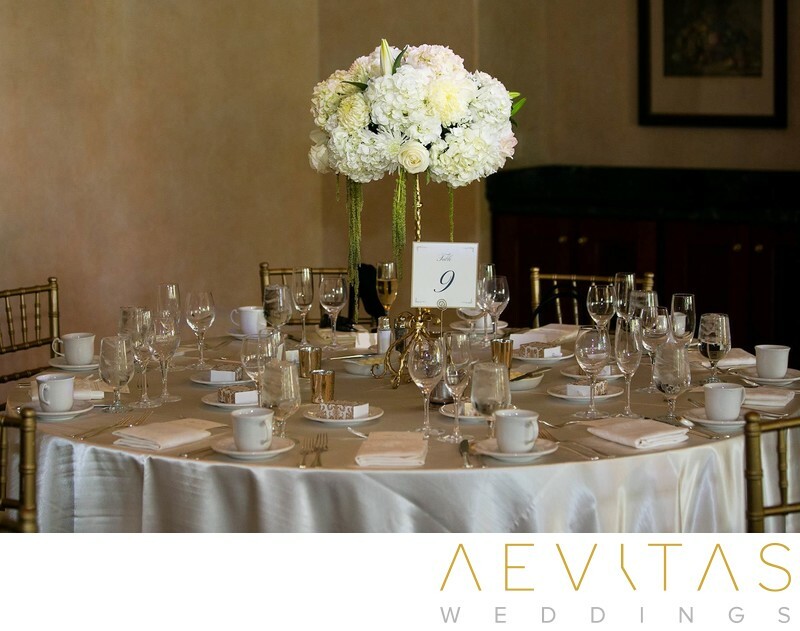 This elegant private club boasts two spectacular wedding ceremony locations, as well as a sweeping outdoor terrace where you can host your cocktail hour and a lavish ballroom specifically designed for receptions. You can either exchange vows on their spacious lawns, framed by a floral bridal arch, or on top of their Grand Terrace whose steps cascade down to this grassy expanse. Both venues provide a stunning natural backdrop to your wedding photos, with added elegant touches from the Spanish-inspired architecture. There is also a separate outdoor terrace which boasts stunning views across the mountains and valleys of Santa Rosa. Here your guests can sip champagne and enjoy hors d’oeuvres while you capture intimate couple portraits around this spectacular property. Then step inside their Grand Dining Room, renowned for its luxurious Spanish Mediterranean design, with stunning floor to ceiling bay windows and rustic wrought iron chandeliers. Fireplaces create a distinctly cosy ambiance and a grand piano is also available if you would like live music performed during your dinner service. The Spanish Hills Country Club has an impressive reputation for its synchronized table service, which adds a distinct flair to your wedding reception as each plate is delivered in unison. Their team of staff and wedding coordinators pride themselves on attention to detail, ensuring your day runs as smoothly as possible. While the Spanish Hills Country Club provides full wedding packages that include all catering and beverages, these can be customized to create an event that is truly unique and with a menu that suits your individual tastes. This ease of planning ensures that your day is as stress-free as possible, enabling you to enjoy every single minute. The Spanish Hills Country Club has the capacity to hold up to 264 guests, making it ideal for couples hosting an intimate wedding celebration with just their closest family and friends, as well as those after a more lavish, large-scale event.